MK Properties / Uncategorized / BRRRR, Should you Flip That House? 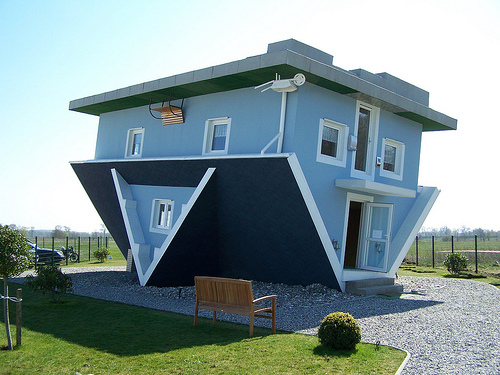 BRRRR, Should you Flip That House? Summer is now in its last few weeks, and I can’t believe we are already almost back to school. Life in our household is pretty chaotic along with our ever changing real estate market and no wonder time moves so quickly! Our 2 year old twin girls are going to Preschool in September and our 4 your old is off to Kindergarten (or as we call it at home, “The Big School”), so some big changes for the kids. And speaking of changes, we will be going through a little bit of one here at MK Properties as well. We are in the process of Launching Venture Property Investments (www.venturepropertyinvestments.com). For those that are connected with me on Facebook, you have already seen the announcement. Starting in September, your blogs will be branded differently and we go into a little more background on the new “Venture”…Stay Tuned. As we shift more into real estate for this post, lets reflect on where many of us got the real estate bug in the first place, maybe HGTV? There are countless shows on home renovation, buying a home, and of course flipping. Probably most of us that have seen a show on flipping have thought, “I can do that”. It looks so easy, right? As with many things, what you see on TV is usually a far cry from what actually happens. Flipping is usually the first thought about real estate in how you can make a quick buck, but is it necessarily a solid investing strategy? Unfortunately Flipping is not investing, it is essentially a job. You buy a property, do some work to the property, then hope to get paid when you sell it. It can be a great way to fund other investments but it is essentially trading your time for money (which is a job). Even the CRA is cracking down on house flippers and looking to tax any gain using your marginal tax rate rather than capital gains; this alone can have significant impact on what you can make, if you do profit. Then take the risks associated with flipping, you need to be quite accurate on your renovation costs as well as your expected ARV (After Repair Value), otherwise you may be stuck with a property that may barley cover your investment, and not cash flow if you need to keep it. The current market and appreciation has made the financials much tighter on flipping, I know former flippers who just don’t do it anymore, and it’s also well know that most first time flippers actually lose money on their first flip. Now after saying all of that, I view every property I purchase as a flip! Pretty hypocritical after what I said above eh? The main difference with flipping vs how I look at it is that the property is sold, and needs to profit in a short amount of time. I am a Buy & Hold Investor, meaning I look for long term wealth generation and having my assets work for me, so what I do is flip-to-myself! This brings us to the BRRRR in the title, not something that’s pretty cold, but actually could be one of the best investment strategies in real estate. BRRRR is an acronym that many investors use to maximize their returns by utilizing less of an investment. 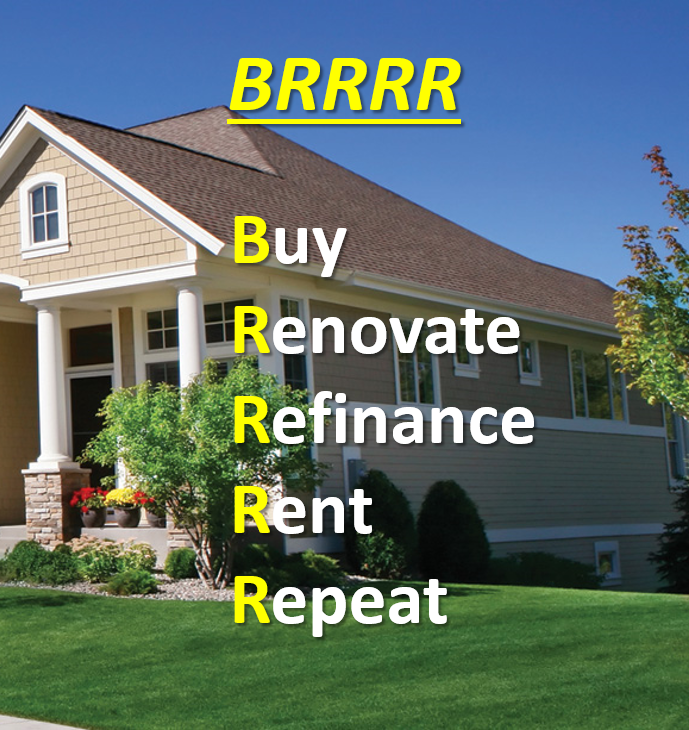 Essentially it means Buy, Renovate, Refinance, Rent, Repeat. We have talked about Buy/Renovate/Rent, but the Refinance component is key and allows you to take money out of the home, decreasing your overall investment. Let’s say you buy a home for $400K and the home needs $60K in renovations (ie adding in a second suite in basement and renovating upstairs cosmetically). Your total investment would be $140K ($80K down payment + $60K in renovation). Given that we have added value to the property through renovations, it is very likely worth much more that we purchased for. A bank will typically give you back between 65%-80% equity of the home into a mortgage or a HELOC. These means that you can likely pull out at least your renovation dollars, and in some cases, a good chunk of your full investment, and still have a property that cash flows month over month. So a property that would be yielding you say a 20% annual return, could now yield you well into the 30%’s. As I have mentioned in previous posts, we look to always have our money working for us, rather than simply sitting and loosing value over time (which is what is does as you pay off your mortgage without refincing). So by refinancing a home (ensuring you still have cash flow), now you are making much higher returns given you have less invested in the home, and have additional funds back in your pocket. If you use those funds to invest into another property, this brings us to the final R (“Repeat”). If you went out to buy another property, and the money you refinanced was enough for a down payment on a new home, then you would basically have gotten that new home with ZERO of your own money, it’s like the bank financing 100% of the purchase price….If you can find cash flowing properties, or even slightly cash flowing properties to mitigate risk, then your ROI on the new home purchase would be infinite, as you invested zero of your own dollars into it (refinancing is essentially a loan). Let’s say you repeat this whenever your homes increase in value, wouldn’t that be building wealth on steroids? We will devote another post to this and how you can fast track your retirement with just 1 home purchase. So, for many that think about flipping when they start out, perhaps there is a way to stretch your dollars much farther. The beauty of BRRR is that you flip as much funds possible back to you (still ensuring the property cash flows), but you still own 100% of an appreciating asset; this will leave you with money to continue investing…When you think about us and our jobs, there is only one of us and a finite number of hours and work we can do. When you have money working for you in the form of properties, this is where you can accelerate your wealth exponentially. Visit us at www.mkproperties.ca and our page MK Investment Group on facebook or LinkedIn to learn more about how we invest in real estate to profit in both an increasing or decreasing housing market. Or contact us if you would like to learn how we are providing double digit returns for our partner’s and clients year over year. 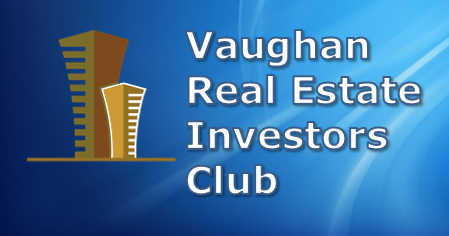 If you live in the GTA, we have started the Vaughan Real Estate Investors Club – a meet up run by investors for investors. If you are just starting out, or a seasoned pro, come out to Learn and Network with others like you. Click the link above to go to our site on meetup.com or visit our page on facebook. We look forward to connecting in person. Martin Kuev is a full time Real Estate Investor, Realtor and Investment Coach. He has worked for some of the most respected and well-known global organizations including Coca-Cola, Kraft and Nestle. With a multi-million-dollar real estate portfolio and team he built over the past decade, he left the corporate world to have the flexibility to spend time with his family, continue with his real estate investments and help others build their long-term wealth. What do the Interest rate increases really mean? Do You Invest and Hope for the Best? Is Toronto Real Estate really Overpriced?